Pedro Gonzalez Jr. is the Senior Manager for Diversity & Inclusion at the Stanford Alumni Association. In leading the diversity and inclusion for work SAA, Pedro focuses on reaching, serving and engaging Stanford’s alumni of color, LGBTQ and First-Generation/Low Income (FLI) communities. As a first-gen/low-income student himself, Pedro received his BA in Archaeology and MA in Anthropology from Stanford in 2011. Pedro is from Palmdale, CA, but has lived in the Bay Area ever since coming up here for school and now calls it home. 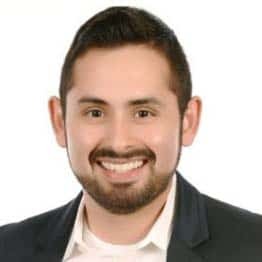 Pedro is passionate about volunteering and has served as a board member for the Stanford Historical Society, president of the Stanford Chicano Latino Alumni Association of Northern California and vice president of the National Stanford Latino Alumni Association.